Market sentiment has remained bearish for most of 2018 and, with BTC breaking down again, has re-enforced this. Additionally, the ICO market got squeezed hard with many exit scams and cash-grabs leaving investors out-of-pocket and many other ICO’s running out of money and simply disappearing. Token and coin prices have taken a beating and many of the top projects are down as much as 95%. Our game plan with FMT has always been long-term. FMT leadership will continue to steer the project and adapt to market conditions. 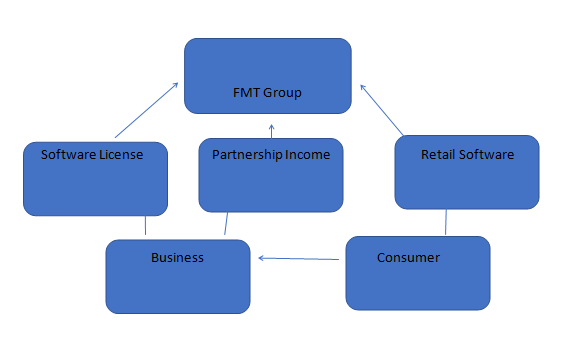 FMT is taking more of a ‘tech and software’ approach to the crypto market to develop infrastructure and expand the FMT ecosystem and token use-case. We see this as a sustainable approach which will bring value to the market and help cryptocurrency adoption. The FMT team has spent a considerable amount of time on the road to promote the project and build relationships for collaborations (current and future). FMT have signed a couple NDA’s regarding listing on exchanges. We also continue to receive listing offers from many exchanges. We are being cautious not to commit resources and time to exchanges that have low volume as it does not serve the interest of token traders and investors. Because FMT is a NEM mosaic (as opposed to an ERC20 token), many exchanges require additional work/time/cost to add mosaics. FMT are exploring options to secure listing and will continue to do so. We feel it is an important part of the project and it is equally important to be done inline with our overall strategy to protect the project, investors and future of FMT. This is a continuous and ongoing process. Free Market Token is also expanding resources to supplement the growth. Distribution through website and strategic partners. Strategic partners are also involved in attaining users for the ecommerce platform. The price model for ecryptostore is based on sliding scale model of transactions fees. The fees can range from 1% to 3% depending on user profile. This will begin when we hit critical mass of users. We endeavour to be always on top of the game with the latest technology. This will be sustainable due to the access to the large IT resource and ongoing fees from the transactions when critical mass is hit. We will be process payments as transactions as done. We will take a small percentage of each purchase. Tokens will be sold for incentivised gift marketing. Strong legal and advisory board with high level understanding of corporate governance in blockchain and crypto space. Direct connection to Blockchain education, Consultancy Expertise and change management expertise. Ownerships in active software with growing user base. Location Scope – Global scope with an emphasis on South East Asia, Australia and the middle east. How do you retain your most profitable customers? How do you manage or move on customers you would prefer not to keep? Instant Banning or freezing of account. With our focus on blockchain technology rather than cryptocurrency in general, we aim to avoid (as much as possible) the unknown marketing factors and legislative landmines of the current cryptocurrency market. Our close relationships with the some of the biggest players and leaders in the space and by our innovative Research and development team will are constantly looking to grow our current platform as well as looking for new opportunities. We personally believe the long term market in blockchain technology is very fruitful and encourage our FMT following to embrace opportunity as well as the be informed about the volatility and the risk.